This set includes one size in each design. 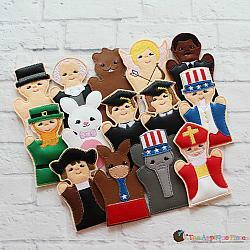 We sell a set with all three sizes (finger, child, and hand) of puppets in a separate listing. You can find those in our Holiday Puppet set found HERE!